Most Magical Place On Earth! 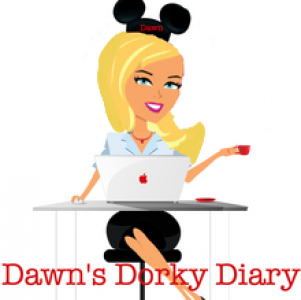 “Disney Dorks” What makes up the Disney Community? Websites, blogs, vlogs and podcasts bring people together in all sorts of ways via travel, dating, food, and most importantly friendship. I can truly say that there is no better relationship than a Disney friendship. The Disney community is a melting pot of kind-hearted, unique, Peter Pan-syndrome dorks and I’m proud to be one of them…. We did #family! It’s your turn…Every #Vote counts! Location, location, location! The absolute hotspot in Mount Crested Butte is located right here. Want the perfect hotspot without the hot-mess that comes along with it? You found it at “The Lodge!” We’ve visited Mount Crested Butte, Colorado many times and love The Lodge at Mountaineer Square for its location, size and décor…. Lavender Relieve – your ordinary spa becomes EXTRAORDINARY! My review of the Carnival Dream and the Port of New Orleans Cruise Terminal. Happy 19th Birthday Pey Pey! Happy 46th Anniversary Daddy & Mama! I’m excited to write this paragraph, my family will visit Belize in less than a week, yippee! We will embark on a seven night Western Caribbean cruise and my parents are being dragged along for the ride, hold on tight folks…..
You might be thinking: cool, don’t care, or where the heck is Belize? If you were thinking the latter of the three, then I’ll school you in on the fun things Belize is renowned for. Heroes don’t wear capes, they wear dog tags! Happy Memorial Day! 5 Shore Excursions in Roatan, Honduras! Want to sail away to Roatan, Honduras? Then check out 5 shore excursions that will make your friends soar with envy! Yes~ I LOVE Carnival Cruise Line, REALLY!